How do we find meaning and beauty in aging, and how do we respond to living in an age-phobic culture? 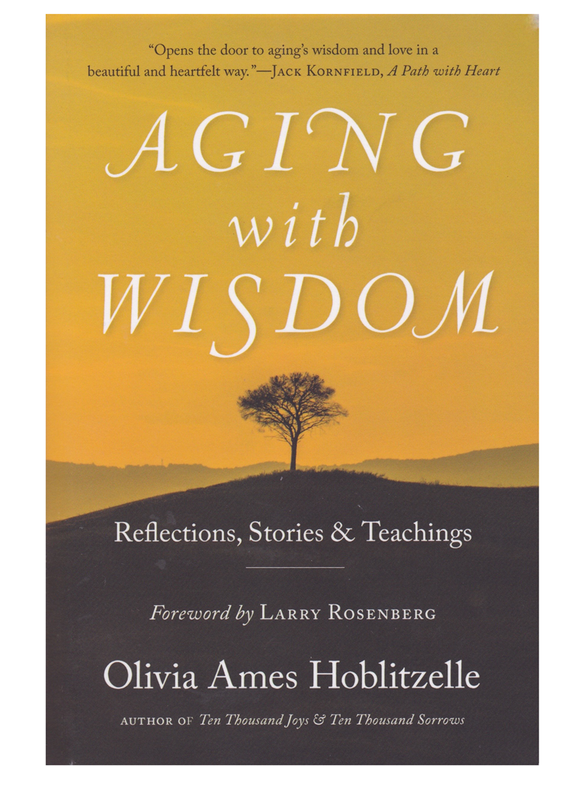 Aging with Wisdom addresses these questions by providing a heartening guide to the later years, filled with examples from the author’s own experience as well as from varied wisdom traditions and cultures that revere elders. Named finalist in Foreword's Indies Book of the Year Award for 2017! As a collection of short, compelling sections, the book is woven through with inspiring teachings that help the reader—no matter what age—to discover the wisdom that lies within all of us. It contains reflections about how to age consciously and how to cultivate an inner life resilient enough to handle the vicissitudes of aging. The book is filled with loving guidance for how to embrace life in all its fullness and wonder, even when faced with life’s inevitable losses. A central theme of the book: the process of growing older can be gently transformed when we experience our aging as a spiritual path, full of infinite possibilities. Aging with Wisdom is the fruit of Olivia’s extensive experience in the fields of psychology, Buddhist meditation, and the wisdom traditions. She regards this phase of life as the most heroic, rich with possibilities for reflection, growth, and resolution.